Published on September 2, 2013 in cottage holidays UK, inspiration, rambling in the country, Romantic Cottage Breaks, rural escapes, Self catering holidays, self catering nature breaks and top destinations. Closed Tags: Anglesey, awe-inspiring, beach holidays, Beautiful Britain, beautiful places, eerie places, Eigg, Fairy Pools, Glencoe, Highlands, holiday cottages near a beach, inspiration, Lake District, Mardale Green, Maunsell Sea Forts, Orford Ness, Sanna Bay, self-catering breaks, Skye, St. Kilda, white sand beach. 9 beautiful, eerie, interesting or just downright lovely places in Britain you’ve probably never been to. Do you feel like you’ve seen everything there is to see in Britain; been to every one of our beautiful bays and beaches, visited all the historical sites you’re interested in; would you rather stay at the office than spend a wet weekend in Scotland? Well, don’t give up on us just yet because we think Britain has a bit more to offer than that. In fact, we think Britain’s pretty much the most beautiful, awe-inspiring, interesting and varied place on Earth and here are just nine reasons why. 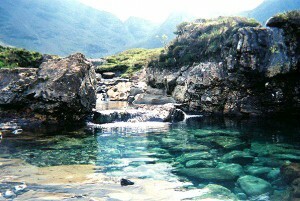 Sanna Bay occupies the most westerly point in the British Isles on the peninsula of Ardnamurchan. You have truly never seen a beach like this – untouched, pure white sands meet clear blue waters; Sanna is an isolated paradise. The views to the smaller islands across the sea are absolutely spectacular to the north, but if you look out to the west you’ll see nothing but the shimmering Atlantic Ocean.If this sounds like your idea of a beautiful beach, take a look at our Cottages in the Scottish Highlands for somewhere cosy and comfortable to stay. The Principality of Sealand and the Maunsell Sea Forts, near Felixstowe, are a terrifying collection of military bases which were designed to defend England against German air raids during WWII, and were later used to house pirate radio stations. These enormous steel and concrete structures sit 7 miles off the East coast of England and the Principality of Sealand is recognised by some to be a ‘micronation.’ Oh, strange and fascinating Britain… For inspirational properties near to the Maunsell Sea Forts, take a look at our cottages to rent in Suffolk. 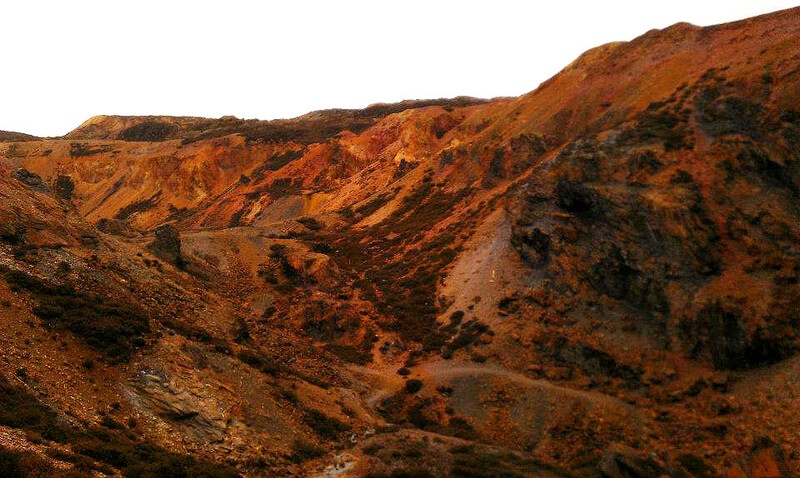 Parys Mountain, near Awmlch on the Isle of Anglesey is an old copper mine, the site of which has been worked for the last 3,500 years. The mine truly got big back in 1768, however, when a local miner called Rowland Puw discovered a copper vein and was rewarded with a bottle of whisky and a lifetime’s free rent – which probably seemed like a good deal at the time, but the copper mine became the largest in the world. Nowadays Parys Mountain is a Martian dreamscape; full of huge craters, excavations and pockmarks, the rock is stained a vivid mix of reds, oranges and purples and an afternoon spent exploring this lunar landscape is an arresting and fascinating experience.If you’re a history lover and fancy exploring this area of rich industrial heritage, why not stay in self-catering accommodation on the Isle of Anglesey? 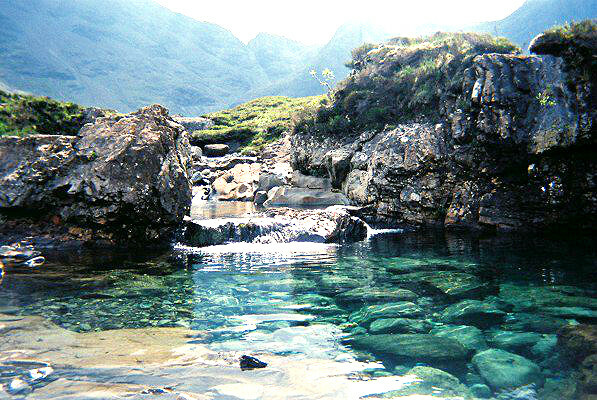 The Fairy Pools, Glen Brittle on the Isle of Skye are a number of clear-water “swimming pools” which are formed under a number of waterfalls, running on a tiered system. Many of the pool feature underwater caves where you can swim through from one pool to another. The whole place feels absolutely magical, set against the backdrop of the terrifying Cuillin mountain range. If you’re looking for self-catering accommodation on the Isle of Skye, take a look at our lovely places to stay on the Isle of Skye. St. Kilda is the most remote place in the British Isles, 41 miles away from the Outer Hebrides of Scotland. Its main island Hirta was occupied by its native peoples for hundreds of years and unbothered by the outside world, the last 36 inhabitants of St. Kilda were finally evacuated in the 1930 after increased contact, trade and tourism with the outside world had degraded the traditional way of life and food shortages and influenza outbreaks had killed, or forced to emigrate, so many of the native people. Nowadays the village and island is maintained by National Trust for Scotland, and visitors can see the houses which those fascinating people lived in up until just 87 years ago. St Kilda has recently had its historic links with the Isle of Skye restored, but is also reachable from the island of Harris. If you want to visit this fantastic, historical and fascinating island, it’s a great idea to stay in self-catering accommodation in the Outer Hebrides. Orford Ness is Europe’s largest shingle spit, containing about 15% of the world’s vegetated coastal shingle, is already an interesting place… but combined with its fascinating military history, it’s one of Britain’s hidden gems. The small island, which is reached by a short boat ride from Orford Quay, was for years used as a military testing ground for explosives including bombs and rockets, and still retains a huge amount of debris – some of which may still be live. 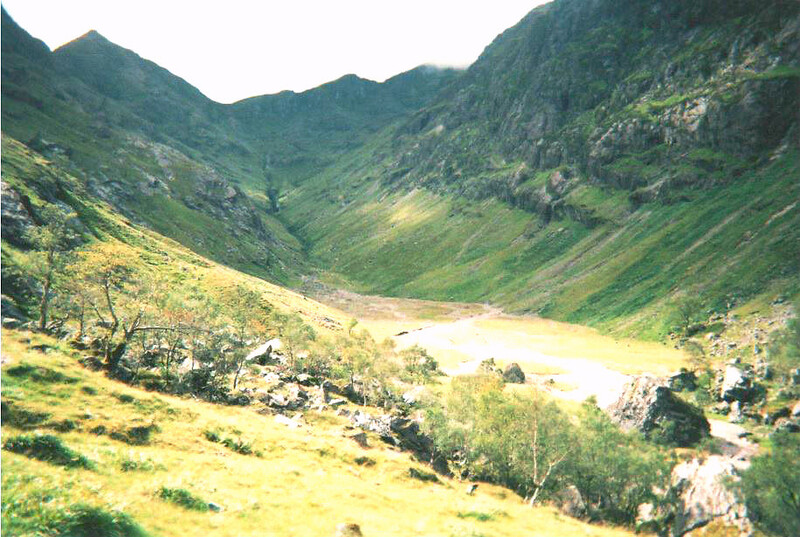 The Lost Valley of Glencoe is completely invisible from the main road running through the Highlands past Glencoe. If you don’t know it’s there, you’ll probably miss it. It’s not exactly out of the way of the tourist route: you’ll probably notice a number of coaches pulling up to let its eager inhabitants snap away at the unbelievable scenery before driving off to the next hotspot, but you’re unlikely to encounter many folk whilst you’re up there, and we’d recommend you spend a good couple of hours up there because it really is an awe-inspiring place. A relatively easy one hour scramble takes you up the mountain and when you get to the top, you are greeted with a jaw dropping sight: the mountain gives way to a lush green valley, where historically cattle thieves would hide their bovine booty. Mardale Green was a village and beauty spot in Cumbria which, until the 1930s, was rich land which was inhabited by farmers and their families. In 1919 the Manchester Water Corporation secured the Haweswater Act, which granted them permission to build a dam and flood the land to make the Haweswater Reservoir. Hundreds of acres of land were abandoned, cattle and other livestock were either abandoned or sold, and the inhabitants were evacuated. Nowadays the ruins of the village are visible during dry summers, when you can pick out the foundations of these people’s homes, farms and even the village bridge. For a lovely, relaxing break in this area, we have plenty of lovely cottages to rent in the Lake District. The Singing Sands of Eigg is a beach on the Hebridean Island of Eigg, which is not only a beautiful white sand beach with unbelievable views across remote islands, it’s a strangely surreal, singing white sand beach with unbelievable views across remote islands. Basically, it’s not normal sand – it’s quartzite, which makes a wonderful, musical sound when it’s scuffed by the wind or your feet.